Amazon has released new Chrome browser plug-in allowing users to reformat and send web content directly to Kindle app and devices. The plug-in will let you send news articles, blog posts and other web content to Kindle, send web content to Kindle in one step or preview before you send, select text from the web page and send it to Kindle, read anytime, everywhere on your Kindle devices and reading apps and choose to archive content in your Kindle library, where you can re-download it conveniently at any time. 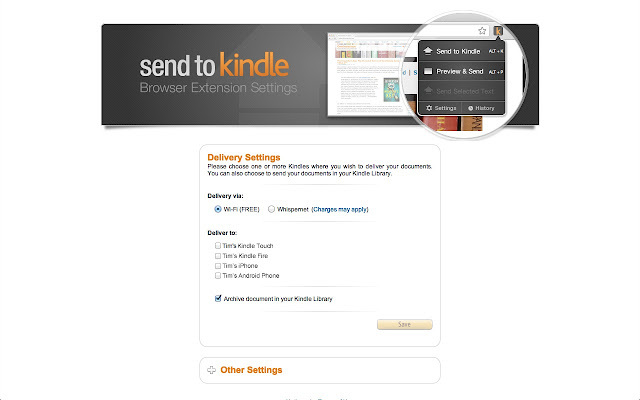 Once you download and install, a Send to Kindle icon will appear on your Google Chrome browser while the support for Mozilla Firefox and Apple Safari is coming soon.